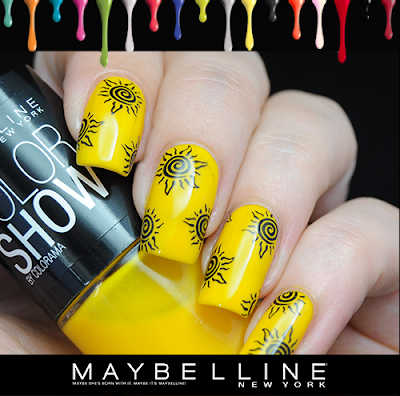 I loved this super cool nails instantly when i saw this on Maybelline New York - Pakistan. and I knew I have to give this a try. At first I thought its stamping because its too neat. 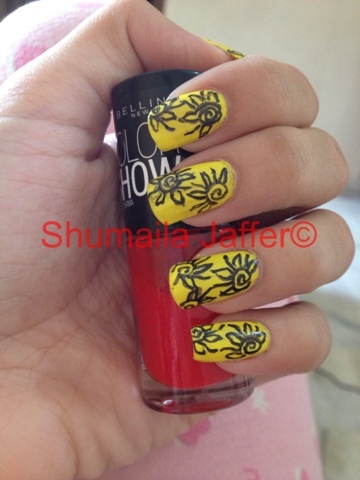 But then came to its done with polishes. Good effort.A top coat would add the right sheen. Even though the lines are a little shaky, I would hardly call it a failed effort; I think it looks cute! If I tried it, it would most definitely be a failed effort; the design looks so complicated! LOL I agree with previous posters that a topcoat would help to add sheen and make it look more like the original photo. Great job! I like yours better than Maybelline's ! Whaaat? Failed? Never! You handdrawn it, right?! The one of maybelline is stamped for sure, so you did a great job (: I like it, it's cute! 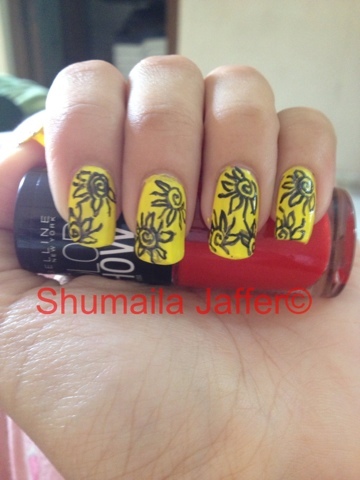 Great designs - love these nails!